We never noticed any public record of grantmaking by MF Global, but there was a dimension of philanthropy affected by the MF Global implosion. The biggest operator of futures exchanges in the U.S. is called the CME Group (CME being one of the exchanges, the Chicago Mercantile Exchange). Like the New York Stock Exchange and other exchanges, CME has its own charitable giving arm, the CME Group Foundation. According to Reuters, it suspended its grantmaking last fall in order to make payments to former MF Global customers that might have lost money when that $1.6 billion seemingly evaporated without explanation (in contrast, at least Dimon could tell Congress where and how JPMorgan Chase lost its billions). CME basically devoted the resources in the CME Trust to pay MF Global clients. Why is CME Trust on the hook? 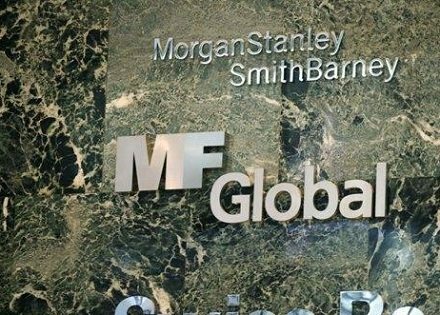 Because CME Group was responsible for regulating MF Global, reviewing its financials, and reporting problems with the firm’s compliance with commodity exchange regulations. It seems to have failed pretty miserably in this one instance. The CME Trust happens to be the foundation’s only revenue source. But the Trust wasn’t always meant to be a funding source for philanthropy. The Trust was created in 1969 for the purpose of assisting clients if a broker became insolvent. Because the CME had strict rules for keeping brokers’ funds separate from clients’ funds, insolvencies like MF Global’s (which comingled funds) just weren’t happening, so in 2005 CME decided to devote the funds to charitable giving. With the MF Global debacle, the Trust had had to resume its original role of compensating harmed investors. Notwithstanding the role of the Trust vis-à-vis MF Global clients, CME has restarted grantmaking from its foundation, mostly to Chicago-area educational programs, with a notable emphasis on charter schools and school choice. Although the foundation gave out about $3.8 million last year before grantmaking stopped in November, it expects to award only about $3 million this year.